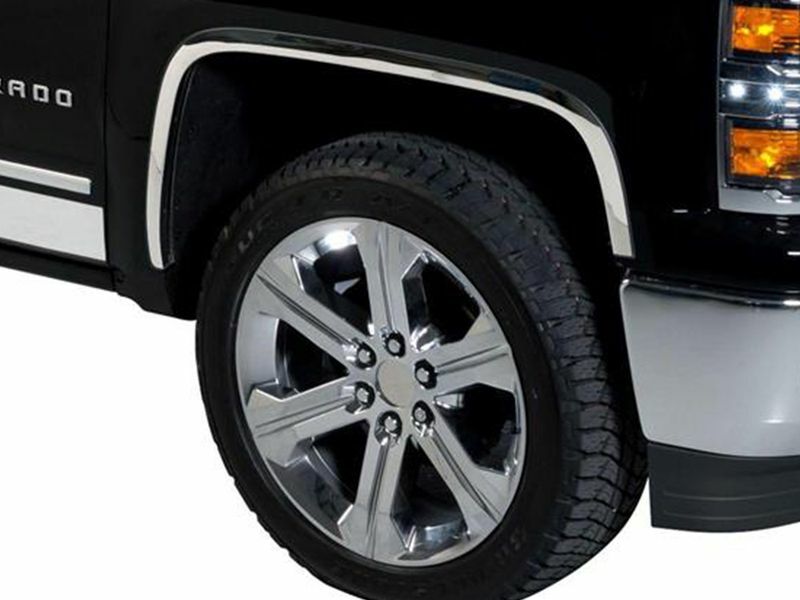 Give your GM truck or SUV a dash of razzle-dazzle with Putco GM Licensed stainless steel fender trim. With fender trim, you might not blind the other drives, but you will make their heads turn. Never one-size-fits-all, Putco GM stainless steel fender trim is sculpted for a precision fit on your wheel wells. The fender trim is constructed out of T-304 stainless steel that is polished to perfection. Also includes rubber edge trim for that perfect fit. Installing the Putco GM stainless steel fender trim is very easy with Putco's easy to read instructions and all the mounting hardware that comes with. For added comfort Putco gives there fender trim a limited lifetime warranty. So I you want to give your truck or SUV a little extra shine then look no further, the Putco GM stainless steel fender trim is what you have been looking for. Get your set ordered today, so you can put them on during the weekend. Putco GM licensed stainless steel fender trim is easy to install with no drilling or cutting required and all the hardware is included. If you have any other questions about your fender trim please give us a call at 877-216-5446.